Qualities of those born in the Year of the Dog 2018 consist of excellent communitive abilities, a severe nature and obligation at work. Other kinds of Dog for instance the Wood Dog in 1934 and 1994, revealed attributes of genuineness and perseverance whereas the Gold Dog of 1910 and 1970 was constantly prepared to assist others. 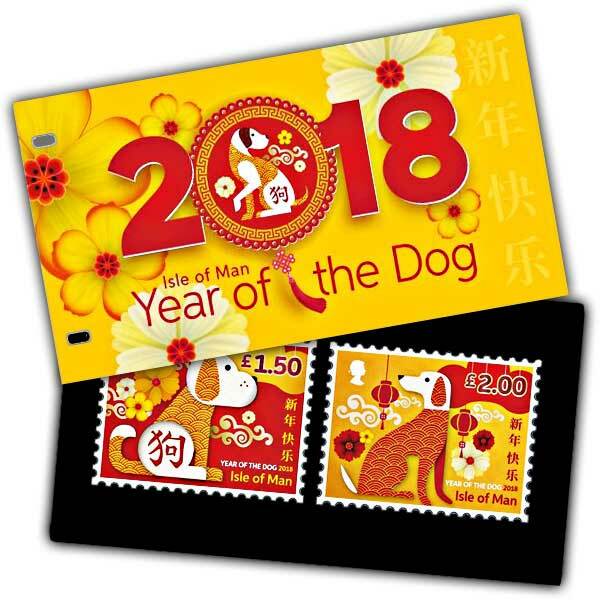 In accordance with the Chinese Zodiac, 2018 is the Year of the Dog. We commemorate with a 2 stamp collection. As a mans best friend is stated to be the dog there is much to commemorate in 2018. If in 2018 a bog should appear at one's door it suggests the occupants can anticipate excellent fortune. 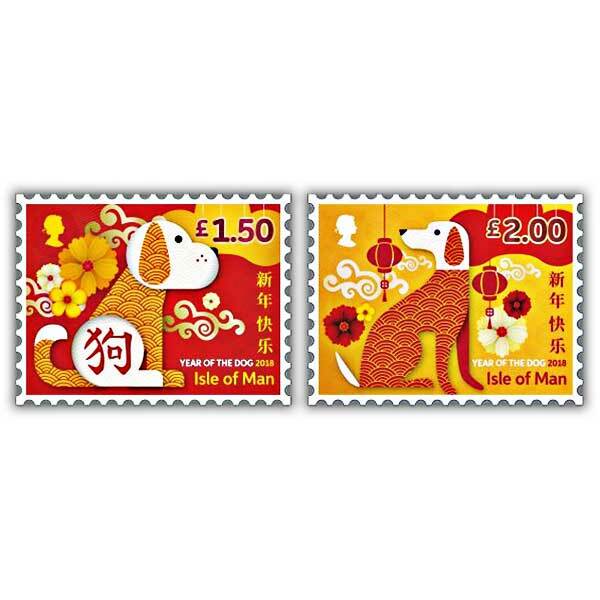 A mint condition set of two stamps which celebrate the Chinese Year of the Dog are wonderfully displayed in this colourful presentation pack. Featuring additional content, the stamps are truly brought to life on the black presentation card which radiates the colours perfectly.